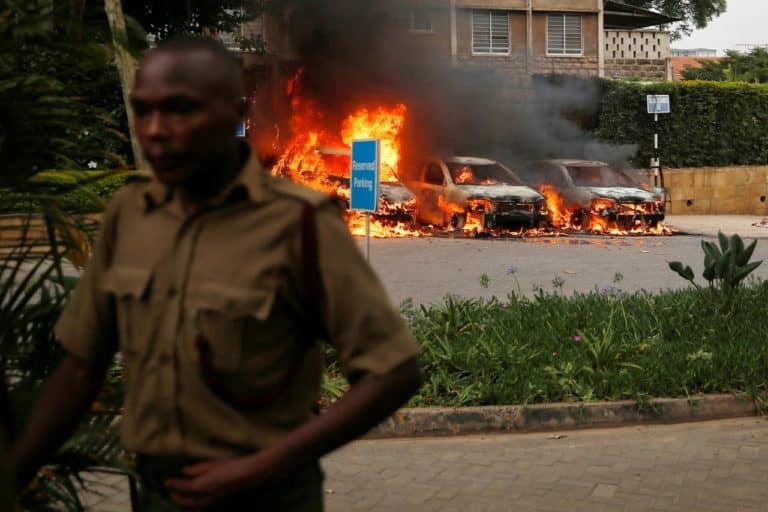 Scene of the Dusit attack in Kenya. Mahir Khalid Riziki was barely 20 when he joined a radical Islamist cell that assassinated police in his home town of Mombasa, officers said. His mosque in the coastal Kenyan city funnelled recruits to the Somalia-based Islamist group al Shabaab, which claimed the Jan. 15 attack in Nairobi. Riziki came to Somalia in 2018, he said, and went into training almost immediately. The militants control territory in Somalia where government forces can’t go, making it hard to keep an eye on men like Riziki.